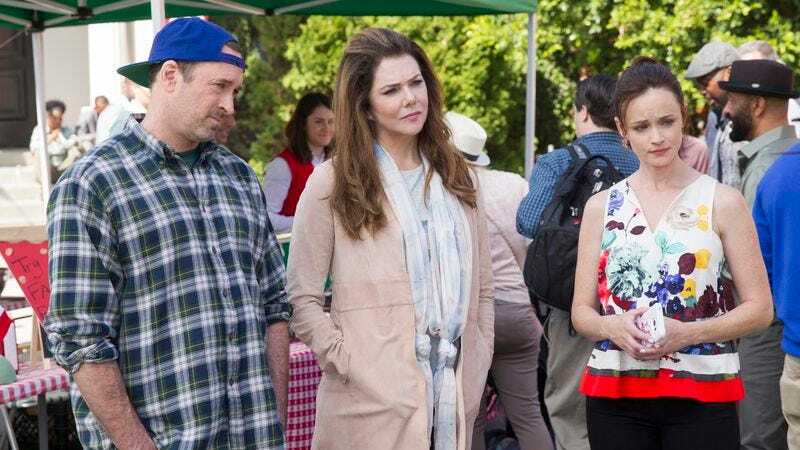 For the seven season run of Gilmore Girls, Rory and Lorelai wowed viewers with their superhuman stomachs. Now—in honor of their return—the Brooklyn-based ice cream purveyor Ample Hills is concocting a Gilmore-themed flavor. It has solicited flavor suggestions on its Instagram, and the masses have devised some yummy-seeming recipes, many of which utilize coffee in some way. We’re especially intrigued by “Coffee At Luke’s,” described in the comments as “a triple-chocolate espresso ice cream topped with chocolate covered coffee beans.” Meanwhile, “Babette Ate Oatmeal” gets points for the reference—it shouts out a Kirk t-shirt in season three—and would consist of “cinnamon flavored ice cream with chunks of oatmeal cookie dough.” Here’s an idea from our own noggins: “Al’s Pancake World.” It would have no pancakes, but instead would feature a collection of flavors from around the globe, including a sesame base, candy-covered fennel seeds, and a mole swirl. Ample Hills—which we can attest is very delicious—is known for their “mix-ins.” Currently they are selling presidential election-themed flavors.